In 1946, before satellites existed, The US. Army Signal Corps began exploring the projective possibilities of the moon’s mute surface. 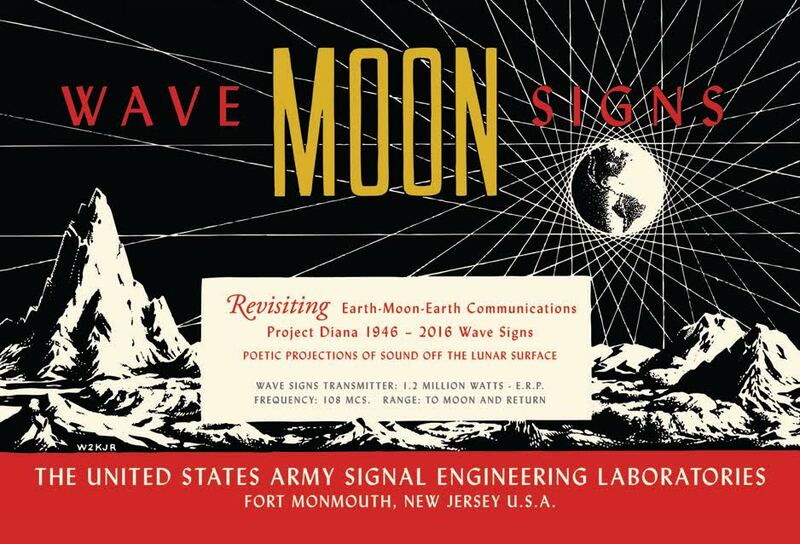 Project Diana hailed the moon by the name of its Roman goddess, using it as a passive reflector of radio waves to bridge long communication distances on earth by sending a signal 768,000 Kilometers through space and time to return just 2.5 seconds later. Poets, too, have used the Moon as a cypher for centuries. With its waxing and waning, its synchronous rotation, it appears in poem after poem as a lover and muse exerting a distant but powerful force. Wave Signs meditates on this historic relationship, creating a conversation between these two orbs that exert such force over one another. 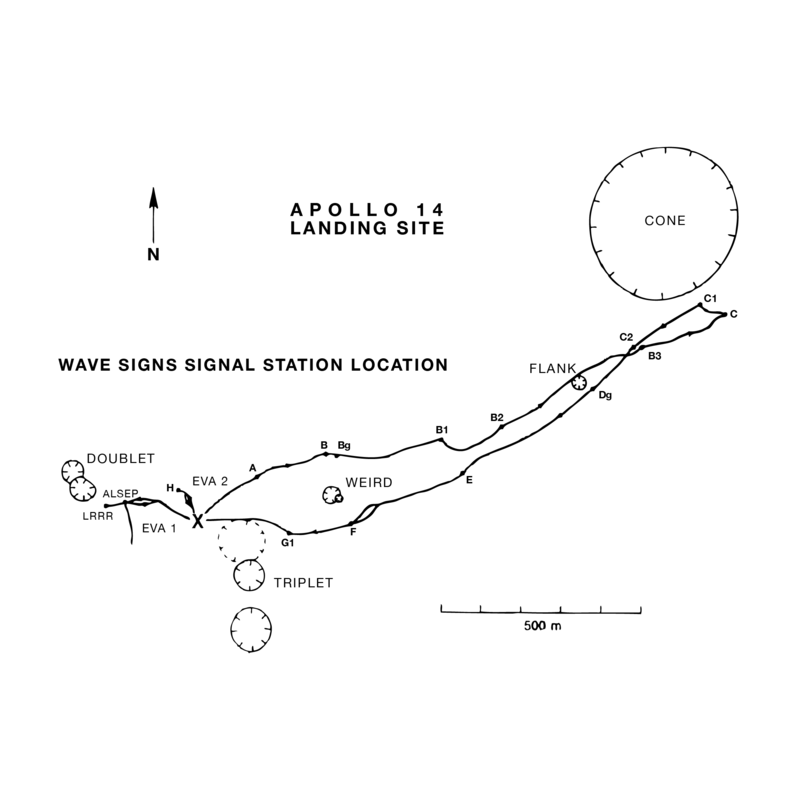 Imagining the ability to repurpose antennas left behind by the Apollo 14 mission, the project envisions sending a compact payload of solar-powered digital converters to the landing site, creating remotely-controlled listening posts for artistic projects attuned to celestial movements. 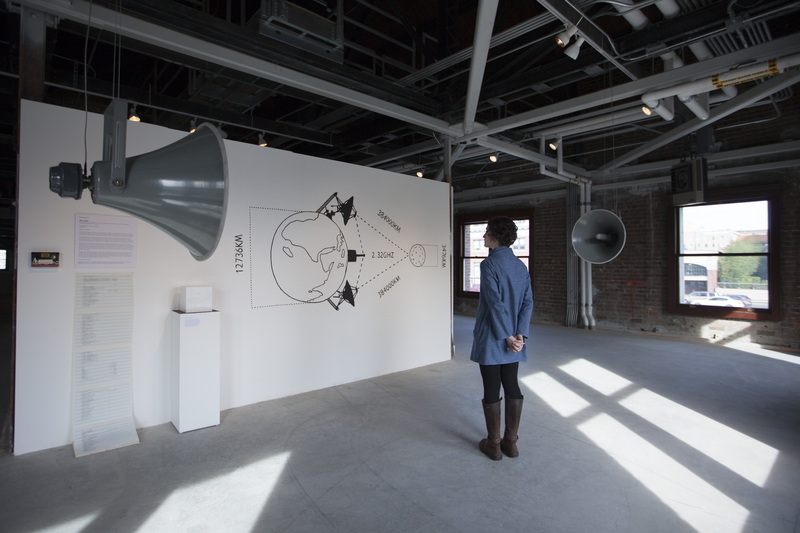 In the gallery, two industrial megaphone-style speakers suspended from the ceiling represent relay stations on the Earth and moon. 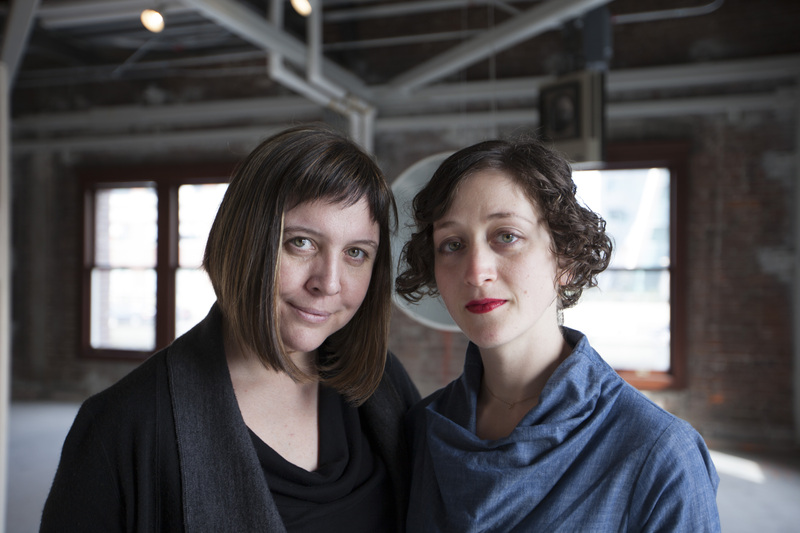 They communicate via a call and response text — a gradually mutating poem that builds a doublet, or word ladder, connecting them. Visitors passing between hear voices echoing from one to the other, creating intersections and changes of phase in which Earth and Moon take turns leading the conversation. Click below for full audio. 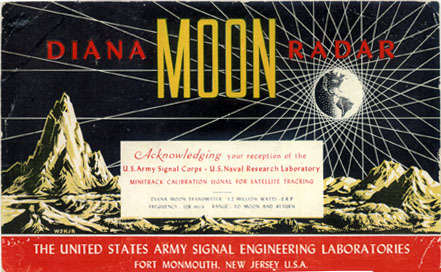 Our postcard design replicates this award sent to ham radio operators who received the first signal. Graphic laser-engraved on the scale model of our lunar payload, instructing astronauts on where to deposit the box of solar panels and digital radio antennas. 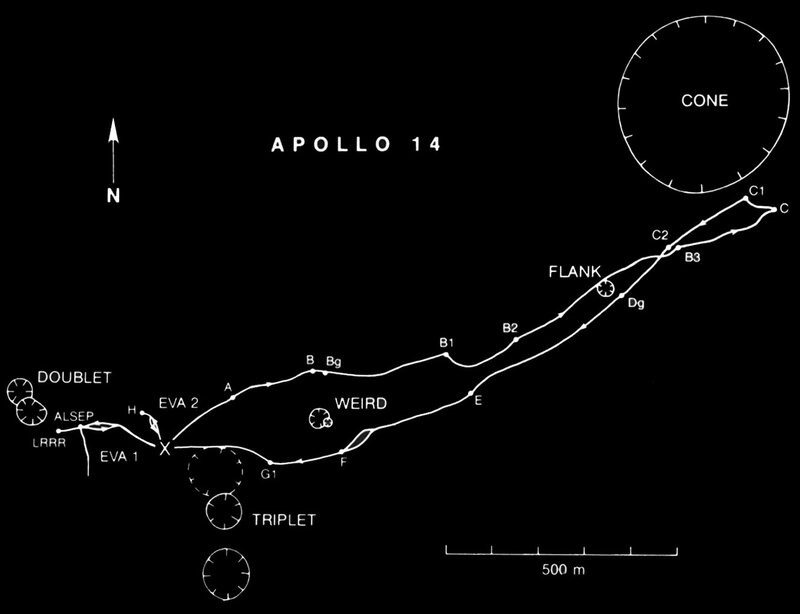 The Apollo 14 landing site. 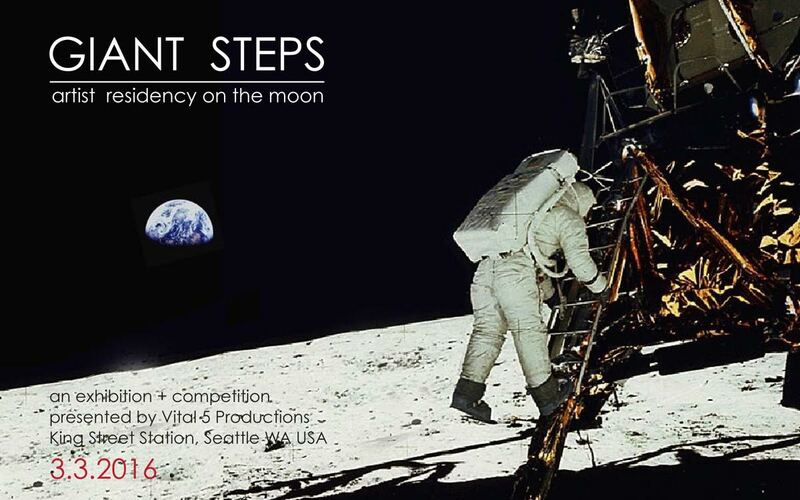 We conceived Wave Signs in response to Vital5Productions’ query asking what artists would make given 12 hours on the moon’s surface with the assistance of a single astronaut. Vital5 Productions’s Greg Lundgren selected 50+ works for exhibition on the 3rd floor of Seattle’s King Street Station during March, 2016. A jury of ten aerospace and arts professionals selected Wave Signs for the jury prize.